All family members are welcome to come and celebrate their Scout’s hard work! Refreshments will be served at the end of the program. 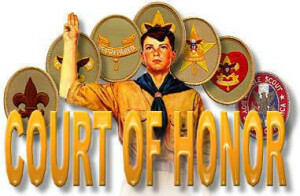 All Scouts need to wear their full Class “A” uniform. Mrs. Pitzer is TUESDAY, April 2nd. Please contact either of them if you have specific questions.